How can I track my clients' investments? Good advice is a product of your experience and knowledge, coupled with a deep understanding of each client’s financial situation, goals, risk tolerance, expected time to retirement, and other factors. With SmartOffice as the hub of your practice, you can gather the information you need to provide individualized investment guidance for each of your clients. Electronically download your clients’ investment data directly into SmartOffice from one of our supported investment data providers. This helps to ensure that your plans are based on the most reliable, up-to-date data available. Remove duplicate contact records from SmartOffice. Remove spaces or dashes from existing account numbers. Through an easy-to-use dashboard, advisors can access household, account, and security-level performance information on demand, for any time period. They can also view benchmarks, holdings and allocations. PDF capture allows firms to comply with regulatory guidelines. Responsive design means that advisors can access up-to-date reporting from a mobile device. Make it easy for clients and prospects to provide the information you need to complete their personal and financial picture. By automating the data-gathering process, you can improve your firm’s efficiency and compliance while engaging clients on a whole new level. PreciseFP offers a library of commonly used forms and provides the ability for advisors to create their own forms. 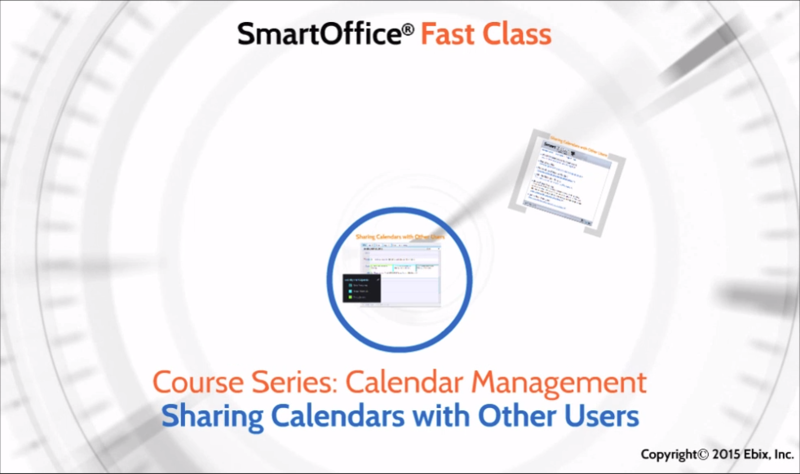 Populate forms with client information stored in SmartOffice to reduce errors and save time. Client data entered in the form is then automatically saved to SmartOffice. *This feature is available as a FREE add-on to SmartOffice. In SmartOffice, a household is a collection of contacts belonging to the same family. A household provides a consolidated view of a family's total assets, investments, policy benefits, and annual premiums, as well as correspondence, documents, opportunities and SmartPad entries. A household can also contain extended family members even if they do not live in the same house. * Once Households have been established, eliminate duplicate communication by choosing the One Letter Per Household option while generating mass correspondence. Account groups allow you to group investment accounts regardless of primary contact, account type, etc., for purposes of reporting, reviewing asset allocation, posting letters/documents, etc. For example, an account group could contain various types of retirement accounts belonging to a married couple. *An investment account can belong to multiple account groups. Determining the right asset allocation is one of the most important decisions you make with your clients. SmartOffice's asset allocation feature helps you analyze your clients’ holdings so you can arrive at decisions based on the client's financial goals, investment horizon and risk tolerance. * Assign an asset class to each security prior to creating asset allocation models. By defining asset allocation models, you can figure out whether a client’s holdings have grown beyond or fallen below the target allocation. Asset allocation models can be assigned to a contact, an account, or a household. Assign a model asset allocation to a contact, an account, or a household to see at-a-glance whether adjustments are needed to the investment mix. Quickly and easily produce a full list of all contacts, accounts, or households that are outside the acceptable allocation variance. With SmartOffice as the hub for all your client and investment data, you can easily report on your assets under management and compare the actual amount to your goal amount. AUM can be calculated by advisor, asset class, client type, and other criteria. As robust as SmartOffice is, it gets a “technology assist” by integrating with a number of excellent software products. These integrations provide the tools you need to produce financial plans as varied as your clients. Workflows can extend across different applications yet be launched from from within SmartOffice. Genius. A good financial planning tool provides a glimpse into what a client’s future portfolio may look like under different investment strategies. When clients can see the long-term impact of their financial choices, they take a more active role in the decision-making process. The result is a more solid overall strategy. Provide accurate financial plans in a fraction of the time using eMoney. Show clients the impact their decisions could have on their financial lives in seconds. With eMoney’s planning tools, you can back your expertise with a clear illustration of your client's financial picture. It’s real-time relationship building with a click of a button. Finance Logix® combines the latest technologies with easy-to-use financial planning software to help advisors grow their business and enhance the services they provide to clients. With this software, advisors spend less time constructing plans and more time implementing them. Take advantage of these innovative, interactive and dynamic financial planning tools to engage, educate and communicate with clients and prospects. With Profiles™ from Advicent, advisors can provide their clients with a goal-based plan in minutes. Profiles adds credibility to advisor recommendations and establishes a repeatable process. Profiles makes it simple for advisors to show clients their potential financial future through holistic financial analysis, FINRA-compliant reporting, and high data security. *Profiles+ 8.0 or higher required. MoneyGuidePro® by PIEtech℠ makes the client experience consistent and quality financial plans possible on a large scale. It increases the advisor's efficiency and adds value to the planning process based on the advisor's experience, knowledge and relationship with the client. Launch MoneyGuidePro from SmartOffice to populate plans with existing client, investment, insurance and liability information. The integration helps you reduce errors and eliminate redundant data entry. *Requires MoneyGuidePro account, broker-dealer’s institution ID (provided by MoneyGuidePro). Why complete forms manually when you can automatically populate them right from SmartOffice? Not only does this streamline the process for you and your clients, it also reduces errors and improves efficiency. Laser App combines state-of-the-art form-filling technology with a massive library of industry-related forms. Forms are filled out instantly and consistently, reducing redundant data entry. Laser App Anywhere is the web-based version of Laser App. The Docupace integration provides paperless, straight through processing via a safe and secure single-sign-on—no need to sign in to Docupace separately. Prefill forms in Docupace ePACS Connect using SmartOffice contact data. Navigate to a client's folder in Docupace ePACS Connect directly from SmartOffice. Quik! is the ideal solution when you need existing paper-based or electronic forms to work better while retaining their exact look and feel. Quik! takes the original form as is and make it fillable, interactive, secure and signable, all within a web browser. NetX360® is Pershing’s digitally enabled professional platform for broker-dealers, wealth managers and advisors. It is designed to help advisors work more efficiently, onboard and collaborate with clients more effectively, and stay connected on the go. It helps advisors easily manage accounts, deliver first-rate service and develop new revenue opportunities. The Pershing NetX360 integration for SmartOffice enables investment advisors to quickly prefill new-account forms using client data stored in SmartOffice. This integration establishes single sign-on access from Veo®, the TD Ameritrade Institutional account management and trading platform, to SmartOffice and vice versa. With this time-saving integration, a user who is already signed in to one system can gain immediate access to the other system without having to sign in. In addition, the integration makes it possible to receive Veo alerts about new accounts, confirmations, transfers, margin calls and other events directly in SmartOffice. Fidelity Wealthscape℠ is an advisor gateway that integrates with eMoney, allowing advisors to move easily from planning to action. Go directly to Wealthscape or seamlessly jump from SmartOffice to Wealthscape’s New Account Setup (NASU) tool, where you can prefill new-account forms with client data from SmartOffice. Built for productivity, Morningstar® Advisor Workstation℠ supports advisors with the latest Morningstar investment data, tools, and reports to serve existing clients and generate new business. Seamless integration with SmartOffice automatically brings in current client and account data for the clearest view of an advisor's book of business. A mobile companion to the platform makes Morningstar reports, ratings, and research available on an advisor's iPad®. Understanding a client’s risk profile is a fundamental responsibility of every financial advisor, but gauging that risk profile isn’t always easy. Now, that valuable information is available directly from SmartOffice via the integration with Riskalyze. With a few clicks in SmartOffice, you can leverage Riskalyze’s innovative portfolio analysis technology to determine whether your clients’ investments are right for them.